“Carlton Football Club is a dynamic brand that brings exciting opportunities to Fronde." 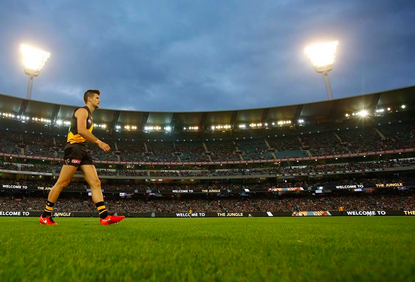 Fronde has entered into a strategic partnership with Carlton Football Club, one of the original Australian rules football clubs based in Victoria, Australia. The partnership sees Carlton taking a shareholding in Fronde, and aligns with the growth objectives of both organisations in the Australasian market. In a move designed to deliver mutual benefits, for Fronde, access to Carlton’s 40,000 members and their extensive and influential network through business events and individual introductions will enable the company to accelerate its growth plans in Australia. For Carlton Football Club, the benefit will be the return on investment as well as digital technology that will extend the club’s relationship with a growing fan base. “Carlton Football Club is a dynamic brand that brings exciting opportunities to Fronde,” says Jon Mayson, Chairman, Fronde. Carlton Football Club CEO Steven Trigg says the club was “thrilled” to have signed Fronde as a platinum partner on the eve of a new season. “As Fronde’s brand and value grows, so does ours and we’re delighted they have come on board at a time when our club is embarking on an exciting club-wide reset,” Trigg adds. “We have put together a true business partnership that aligns with the extensive networks that make up the Carlton community. As a New Zealand owned and operated business, Fronde has been growing rapidly in Australia for a number of years, with this partnership confirming the company’s commitment to expanding its customer base and expertise in Australia. “We're excited to be partnering with Carlton Football Club,” adds Ant Belsham, Chief Executive Officer, Fronde. “Fronde’s mission is to enable our clients to grow, increase value, and decrease operating costs, by providing amazing experiences for their customers, and maximising their internal efficiency and effectiveness.